Ever seen the advert where a Chinese man asks a store-keeper for a discount on a R1.50 lollipop? Well, that’s exactly how markets in China operate. Cash is no longer king. It’s all about negotiations and how well you can talk yourself into a cheaper deal. So if you ever plan on visiting China, keep these tips in mind before you start harassing the sales rep for discounts. 1) Don’t be afraid to ask for a discount. Even if (in your mind) you are already getting a huge bargain, chances are you can still drive down the asking price by a significant amount. Don’t be embarrassed either. If you get yelled at, console yourself with the fact that no matter what happens, you are still infinitely better than the person in front of you who makes minimum wage selling sweatshop clothing to needy buyers. 3) Never announce your budget. Ask the sales assistant what the lowest price she is willing to give you and that will serve as a benchmark for the bargaining. Rest assured that the “lowest” price quoted to you is far from the lowest price set by the owner/manager. 5) Buy more, pay less. 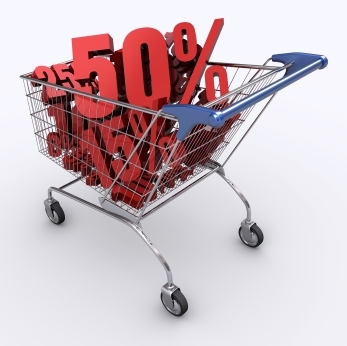 As a rule of thumb, if you purchase many items, you can generally get a bigger discount than if you only purchase one. Also, tell them you’ll bring your friends and extended family there even if you don’t have any; free word-of-mouth advertising is rarely turned down. 6) Take acting lessons. Often times, you will be up against a sales rep who is even more hard headed than you are. In which case, threaten to leave and take your business elsewhere. The more dramatic your faux exit, the better. Of course, don’t actually leave the premises if you really want to buy that fancy gadget. If the rep doesn’t stop you then it is safe to assume that she won’t lower her price any further. That’s when you know you’ve hit the mark. 7) Finally, if you don’t speak the language, take someone who can.